December 2016 Eurovelo 2 Galway – Moscow: Department “consultation” sets up more conflict with local communities. 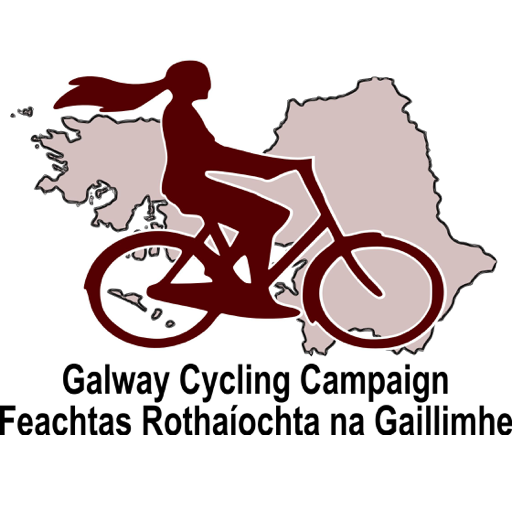 On Friday 16 December just as the Christmas holidays were arriving, the Department of Transport, Tourism and Sport (DoTTS) announced a “consultation” on the Irish section of Eurovelo 2 (the Capitals Route) which starts in Galway and finishes in Moscow. Unfortunately this latest consultation demonstrated that the DoTTS had learned nothing from previous experience and were still set on confrontation with local communities. The consultation itself is part of a Strategic Environmental Impact assessment process and invites feedback on documents associated with that process. However the “vision statement” or terms of reference given for that process reveal no backing away from the extreme position taken by the Department in its conduct of the project so far. Develop a segregated cycling and walking trail to international standards, extending from Dublin City to Galway which is of a scale that will allow Ireland to harness the potential of an identified growing tourism market for cycling. This route will form part of an interconnected National Cycle Network of high quality, traffic free, inter urban routes, which will establish Ireland as a quality international tourism destination for a broad range of associated recreational activities and pursuits. Some of this appears to be verbal smokescreen such as the reference to “international standards”. The stated objectives within the document also refer to “best practice” along with other reference to “standards”. However no actual sources of practice or standards are actually provided. It is likely this is because there aren’t any credible sources that would support such a restricted approach. The problem lies with two words: “traffic free”. High quality international tourist cycling destinations do not rely exclusively on traffic-free routes. They use a range of options that build into a network of routes serving a range of user types. The term “traffic free” is not necessary to the creation of high-quality cycle routes. It is necessary however if the real goal of the project is to build 60km or more of completely new road through East Galway farmland. And at its essence this project does not seem to be about providing for cycling or walking but about finding excuses for roads engineers to construct a new road. A side effect of this will be to significantly increase the cost to the state of providing a route. On some individual routes the proportion of low-traffic roads is higher. In France 64% of EuroVelo 4 uses low-traffic roads. Some routes will have extensive traffic-free sections because they run along disused railways, canals or river banks. However the underlying philosophy is practical and uses existing features, or existing roads, wherever they are suitable. Tourist cycling routes should be kept well away from heavy traffic but they do not need to be completely traffic-free. Across Europe cycling tourists and family groups make extensive use of low-traffic roads as part of local and national cycle networks. The EuroVelo guidance on route development states. In order for the DoTTS “traffic free” vision statement to be defensible on technical or standards grounds, the Department must be able demonstrate that there is not a single farm track, bog track, green road, country lane, or boreen within the route corridor that is suitable to be repurposed as part of Eurovelo 2. No such assessment has been produced. Furthermore local residents report that in dealing with the project team the option of using existing features is being dismissed out of hand. Therefore it does not appear that the vision statement was guided by anyone with a good understanding of the practice of cycle route provision. Instead it would appear that a decision to build a new road through farm holdings was taken first and justification is being sought in unnamed standards (and cyclists) after the fact. An agrarian secret society had existed in Galway since 1907 and was largely responsible for the waves of land agitation that swept across the county during the first two decades of the new century. However, this secret society was itself a revival of a secret society that had originated in the early 1880s, and probably had roots in the secret society tradition of the early nineteenth century. There was a bitter land war in the county since the 1800s particularly around Loughrea and Craughwell. (Loughrea is one of the three locations where the documents for the current consultation are being made available for review.) A summary of a recent book captures the time. In Ireland, during the Land War of 1879-1882, Galway was regarded as dangerously disturbed because of the large number of agrarian incidents reported. These included murders, the wounding of persons and animals, arson, widespread boycotting, and intimidation. In an attempt to restore public order, the authorities implemented repressive legislation in the form of two Coercion Acts in 1881 and 1882. The result was the arrest and internment without trial of 166 individuals, the majority in the Loughrea and Athenry police districts. In Loughrea, there was a sense that the town was under siege because of the intimidating presence of military and police. So, despite all this history, on the anniversary of the 1916 rising, somebody in the DoTTS decided they were going to arrive in Galway and compulsorily purchase (CPO) farmers’ land. This was clearly not being done as an unavoidable act for a public good where there was no alternative. Instead this was apparently a straightforward demonstration of power by those involved. If people are making submissions the template below captures a solution to the current impasse. Please find below a submission on the latest EuroVelo 2 (Galway – Dublin) cycle route consultation as announced on December 16. There is no need for the entire route to be completely traffic free and roads with low-traffic conditions should be used where suitable or traffic conditions modified it necessary. The routes should avoid main roads to the greatest extent achievable – where main roads must be followed the route must be away from the influence of main road traffic. It is not necessary that the main route visit every town directly – spurs can be provided from the main route to the towns and villages. The project should involve stakeholder and community involvement using established local structures at all stages in the process, including preplanning and process definition.